Students should carefully review the impacts of withdrawing on federal and state aid. Be advised that the impacts of withdrawing from the entire semester are different than withdrawing from individual courses while still being enrolled in other courses. Please contact the Financial Aid Office with questions. Students considering withdrawing from all their courses are advised to consult with the Financial Aid Office before doing so. They should also review the What Happens if I Withdraw from All My Classes handout. Below describes how federal aid must be adjusted in cases when the student has not earned their aid. Be advised that all of the following types of withdrawals can impact the student's current and future semesters eligibility for financial aid. Federal regulations mandate a Return of Title IV Funds calculation when a student receiving Title IV financial aid (e.g., Pell, Perkins, SEOG, and Direct Loans) completely withdraws. If a student never attends, ceases enrollment, or withdraws from all courses in the semester and he/she received federal financial aid, the college must determine if these funds are required to be returned to the appropriate financial aid programs within 45 days. As a result, the school and the student may be required to return any “unearned” federal aid received. Federal Title IV financial aid is processed for a student under the assumption that the student will attend courses for the entire period for which the financial assistance is provided. A registered student who failed to earn a passing grade in at least one course is presumed to have “unofficially withdrawn” for federal Title IV financial aid eligibility purposes. The Financial Aid Office will work with the student and his/her faculty members to ascertain official proof regarding the student’s last date of attendance (known as the withdrawal date) for the semester and perform the R2T4 calculation to determine the “unearned” federal financial aid that must be returned to the designated program(s). The student will be notified by U.S. Postal mail regarding the results of R2T4 calculation. Additionally, the calculation will be based on the earliest date documented on the official Academic Withdrawal form. A student who withdraws from a modular course(s) before the start of a future course within the same payment period (semester) will be considered as withdrawn for Return of Title IV (R2T4) purposes. An exception is made if the student provides written notification affirming their intent to attend a future course (prior to the start of the course) within the payment period or the student provides affirmation of attendance by enrolling/registering in a future course within the same payment period after the original withdrawal date. Written notification MUST be received prior to the first day of the future course.  Notification may be provided as an attachment from the student's Buffalo State’s email account to finaid@buffalostate.edu, standard mail or by dropping it off at the Financial Aid Office, Moot Hall, 230. It remains the responsibility of the student to provide accurate, complete and timely notification. A determination regarding the percentage of the semester the student completed must be performed and this will reveal the percentage of the federal Title IV aid that the student has earned. The total amount of federal aid disbursed to the student, or that could have been disbursed to the student minus the amount of federal aid earned by the student equals the amount of federal loan(s) and grant(s) that is unearned and that must be returned: (688.22(e)). If the college is required to return any unearned aid, we will reduce or cancel the federal award(s), debit the student’s account and return the unearned portion of aid to the U.S. Department of Education. This adjustment may result in a balance due to Buffalo State College. It is the student’s responsibility to repay the “unearned” portion of aid that was charged back to the student account. Students will receive notification of this action via a U.S. Postal letter and he/she will receive an updated student bill. A post-withdrawal disbursement of federal Title IV aid occurs when the amount of federal aid earned by the student is greater than the amount of the federal aid disbursed for the semester. A student eligible for a post-withdrawal disbursement will receive written notification from the college. Students receive a notification via U.S Postal mail that they have the right to accept or decline, some, or all, of the post-withdrawal disbursement that is being offered. Students will receive written notification indicating the type and amount of aid returned to the U.S. Department of Education. Withdrawing from the entire semester reduces the student's pace ratio. Pace is the percentage of courses successfully completed out of all those attempted. Since a Withdrawal is considered an unsuccessful attempt, this will negatively impact a student's pace. As a result, students could be placed on Financial Aid Warning or become Ineligible for aid in the next semester. Review the Federal Satisfactory Academic Progress rules for a complete discussion. When a student withdraws from some, but not all classes, eligibility for federal grants will be adjusted to reflect the new enrollment status even if the grant has already been disbursed, unless it occurs after they have incurred full tuition liability, i.e. after the fourth week. Eligibility for federal loans is not affected in the current semester as long as the student is still enrolled at least half-time when the loan funds are disbursed. If a student waits until after the semester has started to apply for aid their eligibility will be based on the enrollment status at the time of application or, if eligible for prior terms, based on the number of credits completed. Withdrawing from a class or the entire semester reduces the student's pace ratio. Pace is the percentage of courses successfully completed out of all those attempted. Since a Withdrawal is considered an unsuccessful attempt, this will negatively impact a student's pace. As a result, students could be placed on Financial Aid Warning or become Ineligible for aid in the next semester. Review the Federal Satisfactory Academic Progress rules for a complete discussion. To receive TAP a student must incur full tuition liability for a semester. This means that a student must be enrolled full-time through the fourth week of classes. Students who drop below full-time before the fifth week may have a reduced TAP award. Eligibility for TAP in a subsequent semester also is contingent on how many credits were completed in the prior semester. Therefore, withdrawing from a single course or the entire semester could result in the student ineligibility for TAP the following semester. Refer to NYS Satisfactory Academic Progress for more. Students who withdraw from classes may request that the corresponding tuition charges be removed. Such requests are reviewed by Buffalo State's Academic Appeals Committee and are only granted in cases of exceptional circumstances. If the appeal is approved the student may have to return financial aid that they received for the semester. Appeal forms are available in the Academic Standards Office in Twin Rise 100.